ideus' classifieds thread: WTB: 2.25/2.75 GMK blank keys. I am looking for split space bar keys in 2.25 and 2.75 units out of the 9009 R2 space bar kit. If you do not use for them I would gladly buy them. GON Nerd60->TMK. 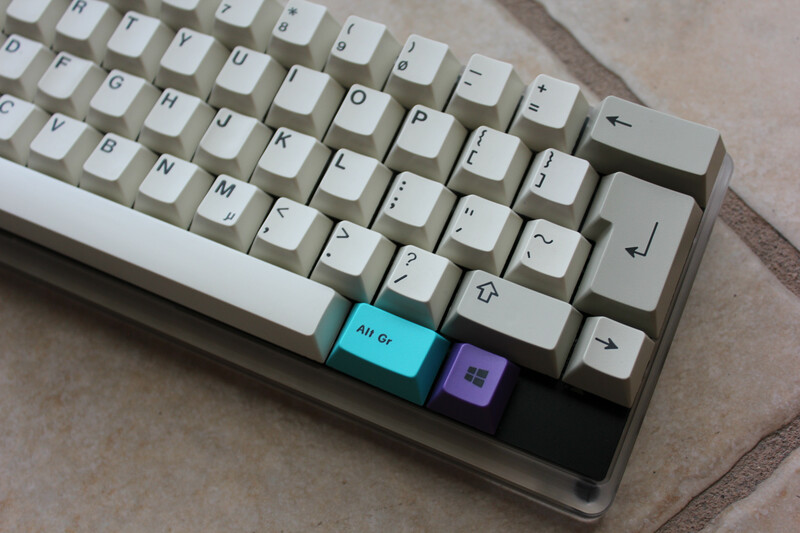 Ergo Clears. Vintage Cherry ANSI-XT NCR Set w/HAD & CP Mods. HAD-Q&M. Not for sale. 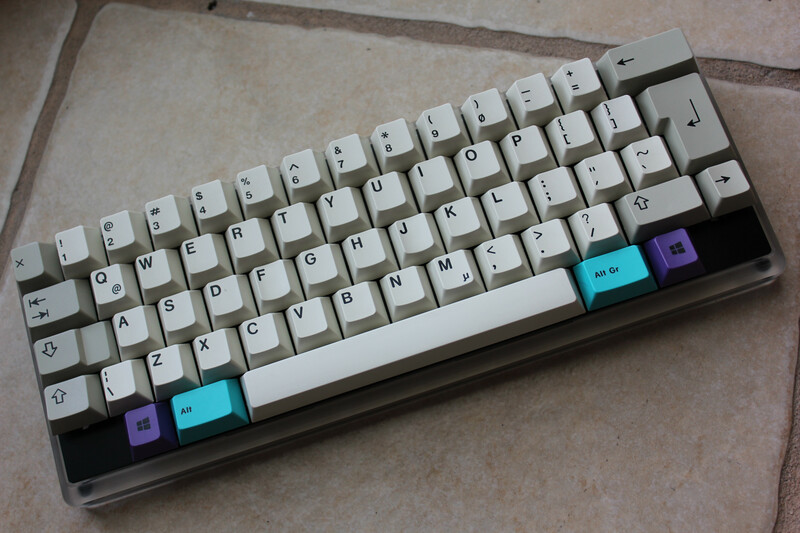 [FS] Coming soon: Infinity w/Granite, FC660M w/Skull Squadron sets. [WTB] ISO. Re: [FS] DS SP w/b moogle, Focus 2001 white ALPS, Ducky1087 green ALPS, IBM SS II. ^Are those buckling springs? And is that purple thing a scroll wheel? [FS] DS SP w/b moogle, Focus 2001 white ALPS, Ducky1087 green ALPS, IBM SS II. Okay. And do you have pictures of the Alps caps? I will post them tonight. GH fellows, I would like to let you know that the B/W set and moogle kit are already pending, I will let you know if this goes to sold and shipped or if it turned back to available. I will post pictures if it were again available. The Focus should be available and some pics been posted tomorrow. Very good condition makes me a little antsy..
Cherry set and moogle sold. I may put other moogle and some black mod PBT caps next week, if you need one mod set please stay tuned. i'd like to get black moogle set if you have an extra. OK, I will post some pictures and the price for the one I was originally planning to keep, as I paid a bit more for it, than the one I just sold. Please be patience. .
Focus 2001 FCC ID:FSQ4VY FK-2001 DS duo tone white / beige, very good and complete with roof, no marks or scratches. The Focus is pending payment. You sure those are white alps? Please double check the picture, however the tone may be a little bit distorted by the camera settings though. But compare the case with the switches, the first is light beige and the second white. It's not really the color of the slider but the switch housing. I ask because I can't tell from the picture. You'd need to take a pic where you can clearly see the switch housing and plate. Not trying to threadcrap here, consider these free bumps. It is OK, I understood, I will try to prepare the picture meanwhile the board is still with me. Red double shot escape keys ALPS. Red escape ALPS are pending. Ducky 1087 is also pending. Can't believe I missed those extra Alps keys. If there are any left, I'd like to buy them for you to include with the keyboard. Oh, I am really sorry, I just sold them this morning. I need you to choose your freeby out of the picture I sent you to get it shipped with your board today, please hurry, I PM'ed you yesterday. Sorry I missed that. Just replied. Never mind, I have shipped your board with a freebie of my choice, I hope you enjoy it. 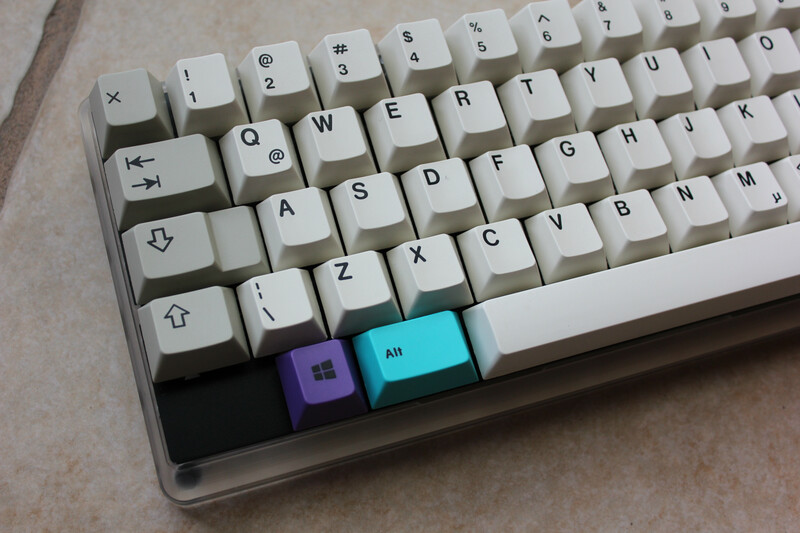 The ALPS keyboard was sold. Only the IBM SS is available. Re: [FS] Authentic Montblanc Set of Pencil and Fountain Pen. Re: [FS] SP DS Moogle W / B $34 shipped. White on Black double shot moogle SP. Re: FS: Black-Beige Authentic Cherry DS SET Used + New SP DS Cherry Rep. Moogle $80. Authentic Cherry DS Set Used (Irregular shine / texture) and SP DS Cherry Replica Moogle New (Looks new with full texture). The Cherry set is used and the moogle is new. where did you originally find it? The price if for the moogle and the set. I bought them one here and the other at DT. The moogle is new and the set is used, I bought it that way, so I cannot say how used is it. The price if for the moogle and the set. I bought them one here and the other at DT. The IBM Space Saver II has been sold. Page created in 0.203 seconds with 84 queries.